It’s a few minutes to Shabbat which will run into a holiday. The cashier at the grocery store wonders if we’re getting extra challah for Memorial Day weekend. We tell her, it happens to also be – Chag Shavuot. 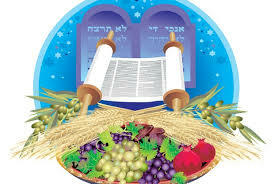 Shavuot is preceded by the Torah reading of Bamidbar, in the wilderness. We closed Leviticus and are opening a new book. That is already nice. A new beginning. The “midbar” reminds us of an openness, space – internally and externally. But Bamidbar has more. For one, it’s called “Numbers” in English. Because it includes a couple of counts of the people. We’re told that there were more than 600,000 men over the age of 20, and yet, it was not a “roughly estimated” count as is done in outdoor events and concerts nowadays. A careful read details exactly how many people were in each tribe. As said here before, we count every one, because every one counts. This was true also with sfirat ha’omer, the counting of the days between Pesach and Shavuot. Here too, we count each day, because each day counts. Who we are matters. Time matters. Or so we hope. So we “hold”. Then comes Shavuot, another holiday with 4 different names: The Festival of Weeks; The Festival of the First Fruits; The Harvest Festival, and The Time of the Giving of the Torah, with an emphasis on “time” and “giving”, not receiving. We are not celebrating our acceptance of the Torah. It’s not a time to focus on us, especially when our acceptance is not always reliable. But we’re celebrating our gifts. Like counting to a big birthday, we’ve been waiting patiently. Tomorrow night, in a custom that has grown so prevalent it’s taking place now in communities throughout the world, Jews will stay up all night, commemorating the greatest moment of our existence. In our shul, we plan to study Mishna all night and I’m honored to share a few thoughts on Pirkei Avot. Wrongly translated as “Ethics of the Fathers”, it is really “chapters”, thoughts of, parts of their lives. Come tomorrow for more, but for now, I just love the opening: “Moses received the Torah from Sinai”… Didn’t he receive the Torah at Sinai?? But the Hebrew clearly says “misinai“, and not “be-sinai“. What do we mean by “from”? The midrash tells us that Sinai was the most humble of all mountains and Moses learned from the mountain how to be, thus receiving the Torah from it. Moses, our greatest leader, learns our holiest book – from a mountain. Hint: torah is everywhere. It we feel like we are not “getting it”, maybe we need to check ourselves, rather than blame the writer or the content. Then the text continues: “He gave it to Joshua, and Joshua to the elders; elders to prophets and prophets handed it to the men of the Great Assembly”, and then? 2000 years have gone by. Anything could have happened. And everything did happen. This could have been an ancient, shredded, lost manuscript laying around somewhere, but it’s alive and well. On this erev Shabbat and chag, I’m wondering, who did I get my Torah from? How did it travel to my hands, my mind, my heart throughout the generations? Who were all the people who, like me, prepared a Shabbat table, lit candles, said the same prayers, sang the same songs? Who were all the fingers that fumbled the silver Kiddush cup my grandmother gave me? Who were all the souls who stood at Sinai, with me, saying “na’ase venishma”? Celebrating the Giving of the Torah is not just between us and G-d but perhaps mainly between us and all those before us and all those after us. In so many ways, it’s a miracle, and we’re it. Shabbat Shalom & Chag Same’ach. This entry was posted in Uncategorized and tagged bamidbar, generations, kiddush cup, pirkei avot, shavuot, Torah. Bookmark the permalink.